What's different about the fingerprint sensor on Vivo X21? Home Editorial DroidTalk What’s different about the fingerprint sensor on Vivo X21? Vivo had earlier showcased the first ever working demonstration of a fingerprint sensor beneath the display in mid-2017 at MWC Shanghai. 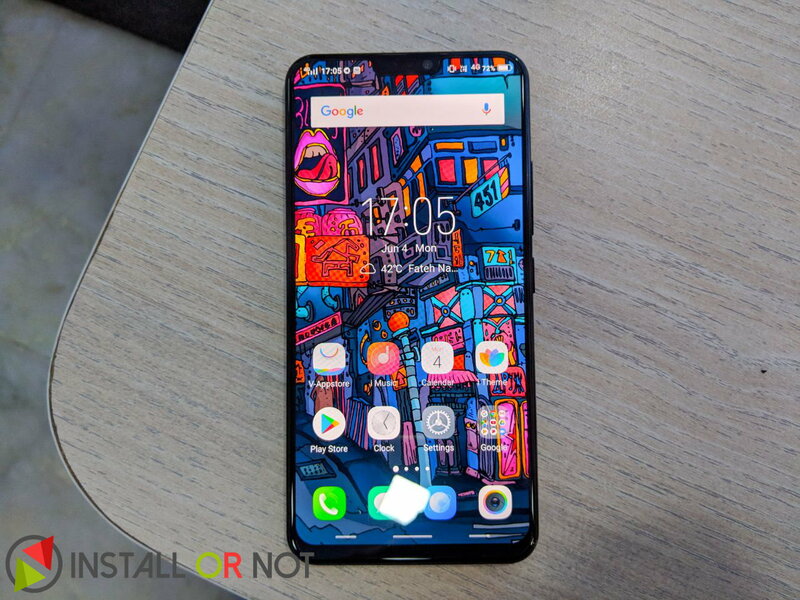 It was a concept back then, but they have been making developments and recently launched their first commercial unit in India called the Vivo X21. Just in case if you haven’t checked out our unboxing video yet, I would encourage you to check it out on our YouTube channel and understand it better. 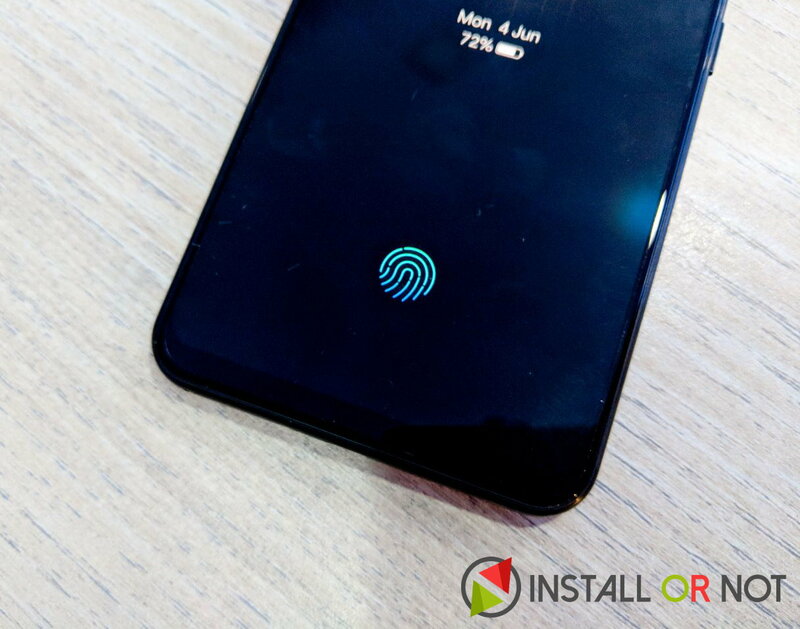 Nowadays we have fingerprint sensors on all smartphones, ranging from budget ones to premium flagships. It has become one of those common necessities which are taken for granted. Creating multiple use-cases for fingerprint sensor, the design itself has gone through different stages of evolution. Back in those years, when fingerprint sensor was introduced on an Apple iPhone 5s known as the TouchID, It was placed right on the front below the display which doubled as the home button. It was not that responsive but it eventually did catch up and soon the idea spread across all smartphones like a wildfire. Today TouchID is available across iPhones, iPad, and Macbooks whereas on Android smartphones fingerprint sensors have excelled specifically on Vivo and OnePlus, who did manage to make it super-responsive. Xiaomi Redmi 3S Prime & Asus Zenfone 3 Max in which clearly Vivo V5 was leading running close with OnePlus 3 leaving all others behind. placed on the table. Hence, moving the fingerprint sensor at the back added more utilities apart from just unlocking the smartphone. We could use it as a selfie trigger in the camera app, or swipe down to bring the notification drawer both of which turned out to be quite useful. Apple with its anniversary edition iPhone X could not include the TouchID anymore because they didn’t want to disturb the iconic Apple logo placement at the back and the front was all about the display this time. Hence, we got introduced to FaceID unlocking our smartphone with facial recognition. But in practical use, this can’t replace fingerprint unlock right? 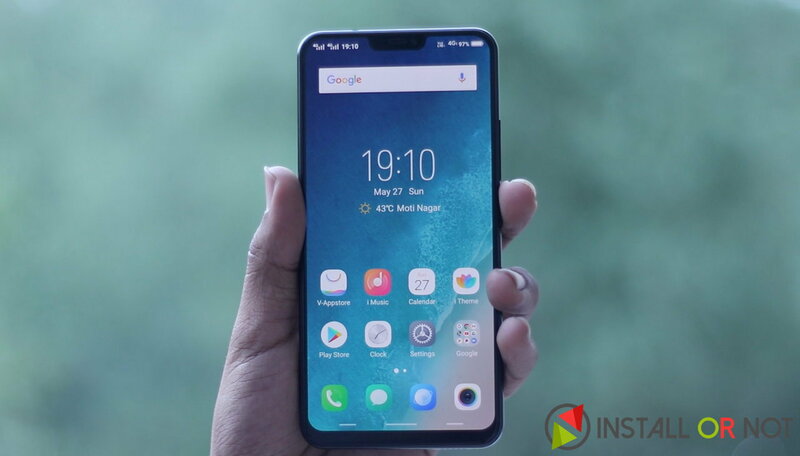 Vivo X21 which was recently launched in India, is a production-ready commercial unit selling across the country that comes with this new technology. The foundation of this in-screen fingerprint sensor is optical technology which only works for OLED displays. When a user presses his finger against the screen, the OLED panel emits light to illuminate the finger. This light is then reflected and captured by a sensor embedded below the display which finally draws the picture and compares it with a saved fingerprint to authenticate and unlock the smartphone. The way how all of this is presented is quite exhilarating. Even though it is quite different from capacitive sensors installed on smartphones today, it’s impressive to see how Vivo has adopted this tech so quickly. The in-screen fingerprint sensor on Vivo X21 works perfectly fine and it is a new addition to your list of things to brag about when you buy a new smartphone. Make sure you record your fingerprints when your hands are clean to ensure correct registration with all edges. Usually, we are used to soft touches for registering our fingerprints but to ensure an accurate reading, this new sensor requires a small amount of pressure to be applied to the screen’s surface. This is the reason why half of the time I failed to unlock my smartphone and had to try again. Along with the new cool fingerprint unlock, Vivo X21 also offers Face Access, this face unlock is quicker and a lot better than what we had on previous generation handsets. The fingerprint unlock right now only works in a specific zone which illuminates taking roughly about 0.7 seconds to unlock. It is not as fast as the traditional fingerprint sensors out there, but being a first-gen product this is absolutely acceptable. 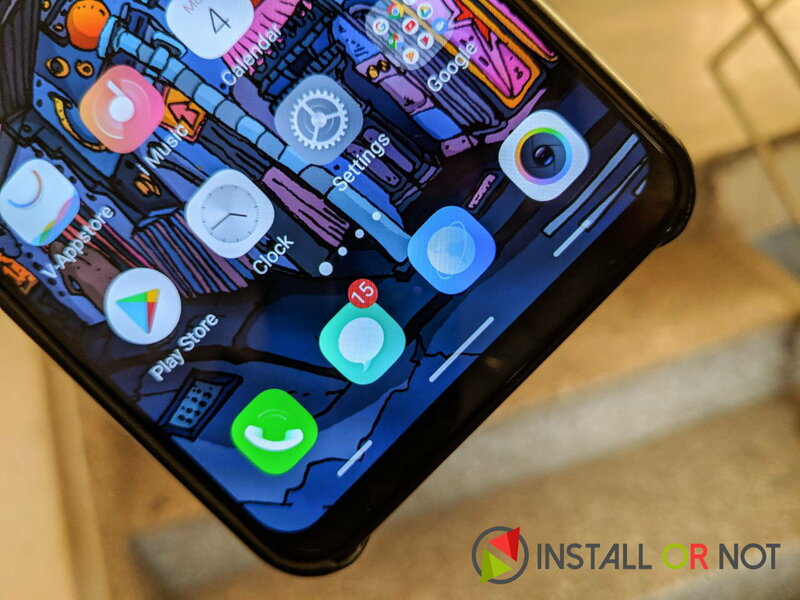 All other features from FunTouch OS that are bundled with fingerprints like app-unlock works perfectly fine on this smartphone without any hiccups. The fingerprint sensor is supposed to work underwater as well since it is based on optical technology. It also works well with screen protectors applied as Vivo sells the smartphone with pre-applied protector as well in the box. I find a lot of people getting excited to see a demonstration of this fingerprint sensor in action. It is absolutely thrilling to see and learn how this works and unlocks the smartphone. Finally after this breakthrough, an all screen smartphone doesn’t look like a distant reality now. Vivo definitely deserves an applause to roll out this futuristic tech to consumers before Apple, Samsung could have any teasers. It is also important to note that though this innovation makes a case for smartphone unlock which already exists but it is a big achievement in the technological revolution. I cannot imagine how good the future smartphones might look with all that display on the front. 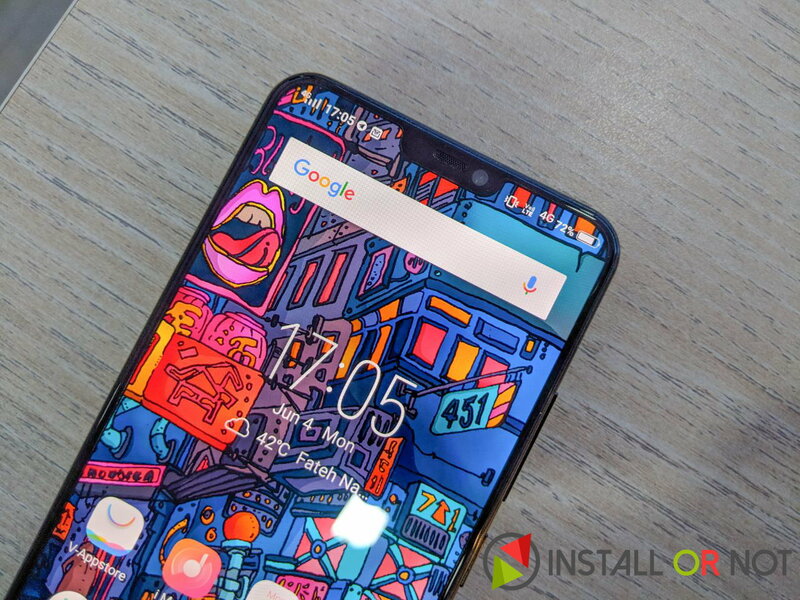 Vivo with another prototype called as the ‘Apex’ expanded this technology to cover the lower half of display which can be used to identify fingerprints. It is impressive to see how quickly Vivo has scaled up and I’m all excited to see the future of smartphones.